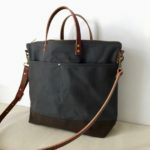 This is a custom Commuter Bag for Clare in San Francisco, California. She has a young son, so she needed something big enough for her and her son’s belongings. Clare told me she already has quite a few large bags, so she was looking for a mid-sized bag that she can take everywhere and be hands-free. She chose these custom colours; midnight blue and charcoal grey. 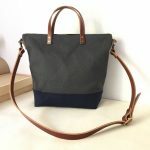 I think this combination looks really nice on this bag. Feminine and utilitarian. Clare plans on travelling in the near future, so she wanted to add the luggage strap to the back of her bag. This is a very handy option, especially if she’s planning to travel with her toddler son. 2 front pockets were added to the front of the bag for easy reach of things she needs right away. 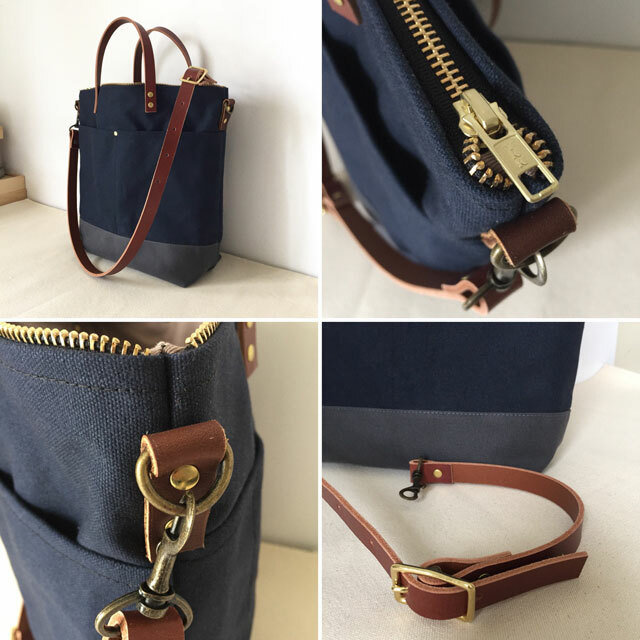 A full brass zipper closure at the top of the bag, so everything is secure. solid and antique (muted) brass hardware throughout. a detachable and adjustable shoulder strap. Wear it on the shoulder or across the body. 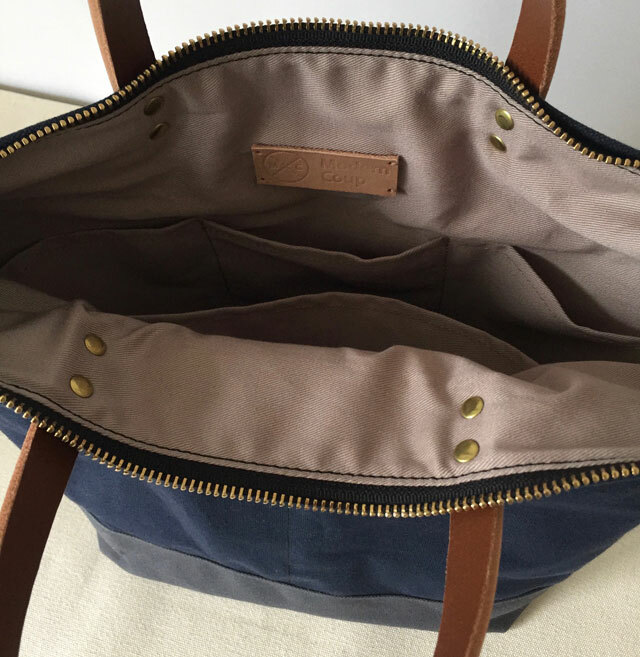 The interior of the bag is fully lined with tan cotton twill. It has 4 dividing pockets; 2 water bottle pockets, 1 large pocket and 1 small pocket. 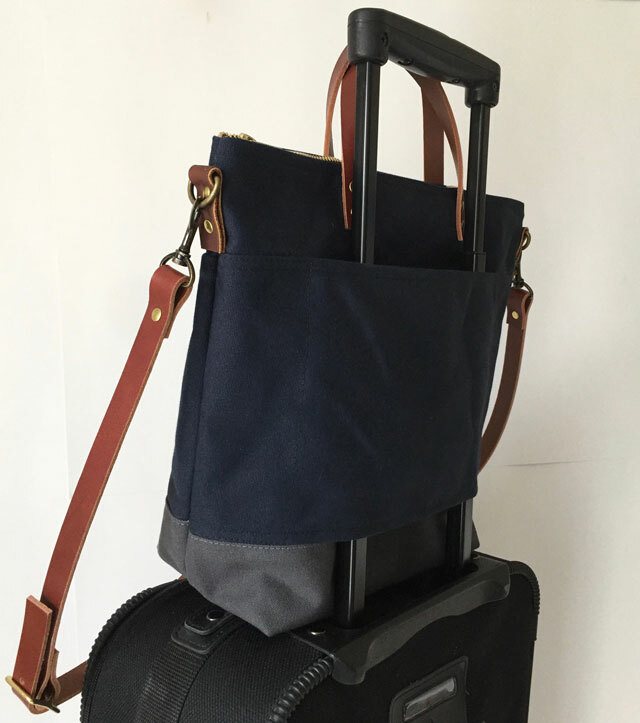 There are Commuter Bags in 3 different colour combinations in the shop. There are also a few custom-add ons that can be purchased right from the shop. If you would like a custom colour combination, like this one, please contact me. 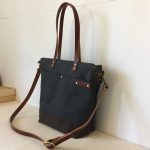 It typically takes about 7-10 business days for custom bags to be handmade for you. If you have any questions, please email me at cathy@moderncoup.com or message me on my Etsy store. Thanks!